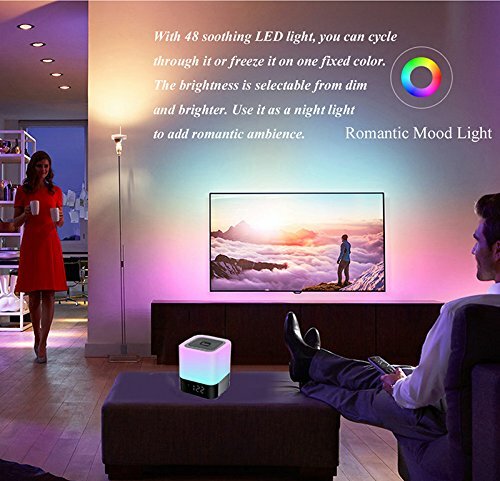 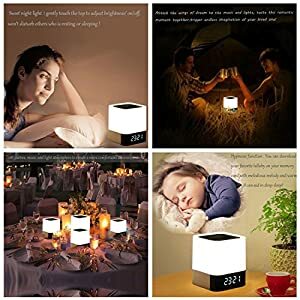 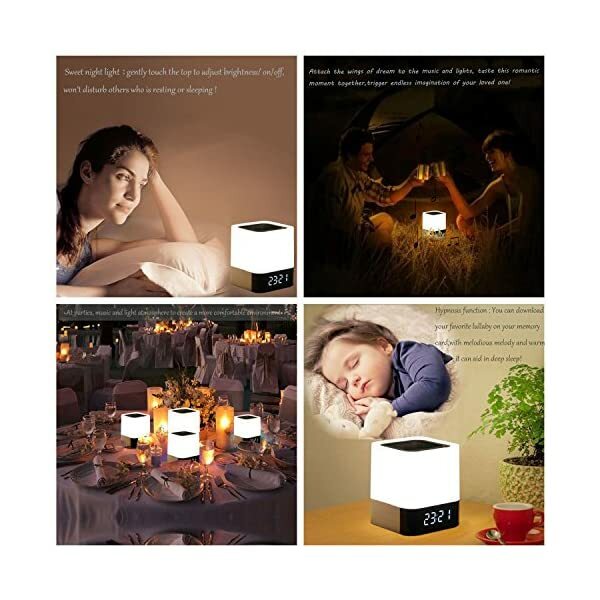 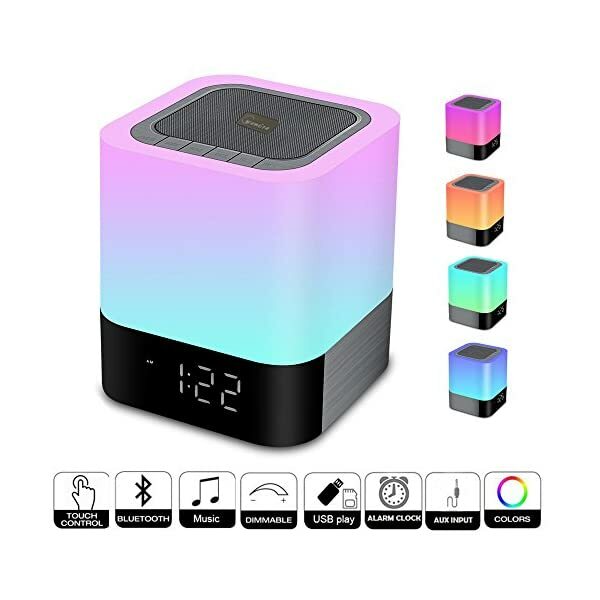 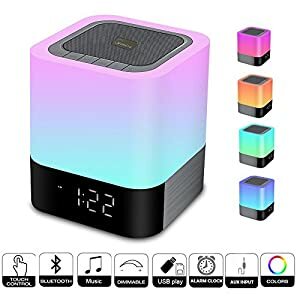 Super Multifunctional – Touch Sensor Night Light,Bluetooth 4.0 Hifi Speaker,Digital Alarm Clock,MP3 Player, Hands Free Call.Connecting with Bluetooth super easily,compatible with all Bluetooth device. 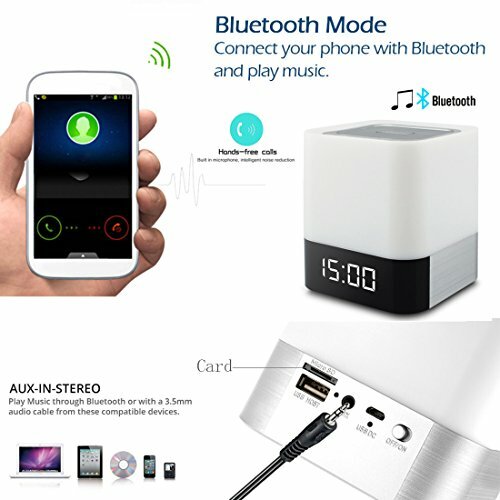 Also support flash drive,micro SD Card , AUX input. 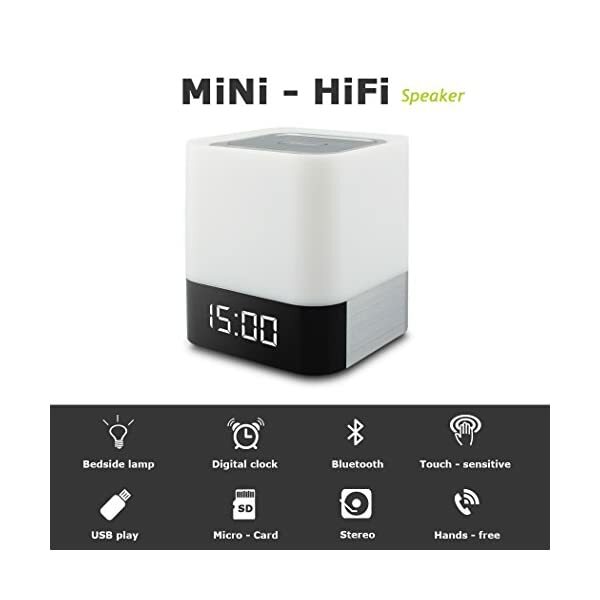 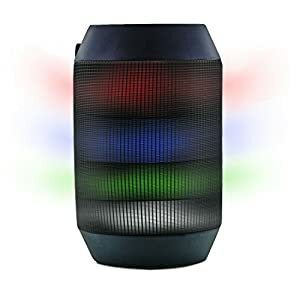 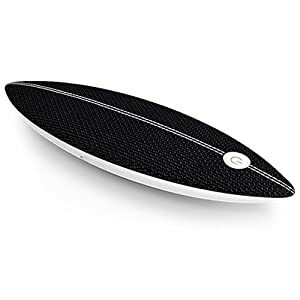 Build In Large Capacity Rechargeable Battery – USB rechargeable wireless bluetooth speaker with build-in 4400mAh Li battery,Super long playing and lighting. Easy charge by USB cable with 6-10 hours charging time. 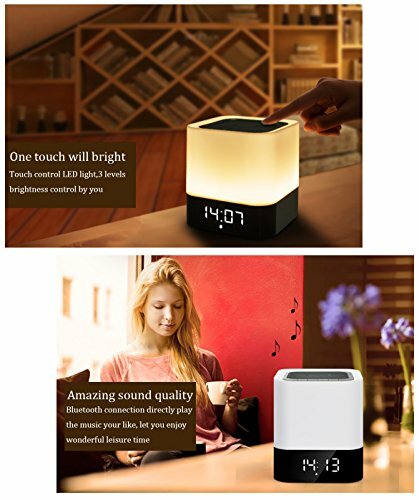 NO,After 2 minutes of inactivity the display will darken to save battery .Press the power button to display the clock again. 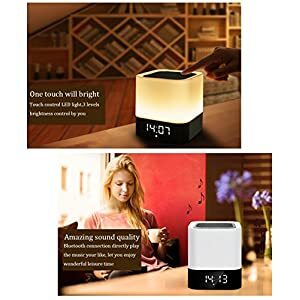 2.How to set the time stay lit up? 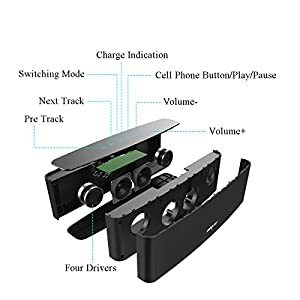 Military time to standard time,press forward or backward button to switch it,so easy . 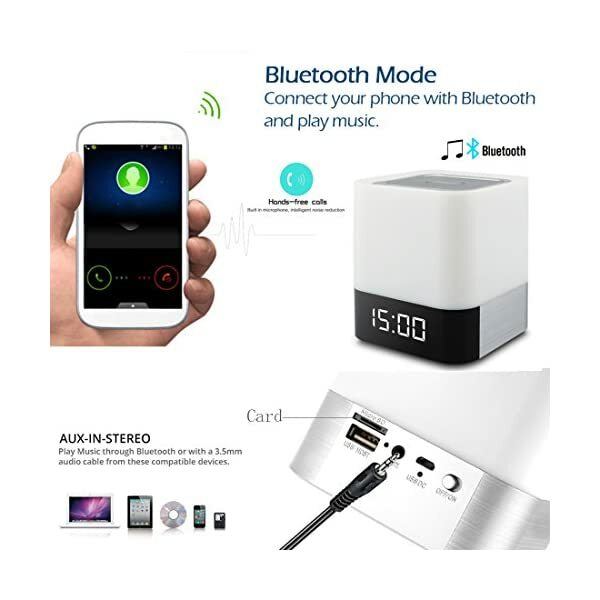 From the standard time function, press MODE twice, You will see the bell icon to indicate the alarm clock function. 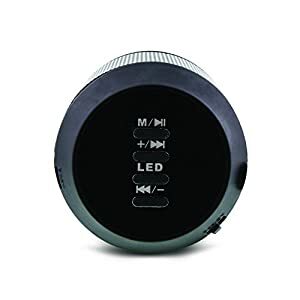 Long press the MODE button, the hour will begin to blink.Adjust with the forward or backward buttons until the desired hour has been reached. 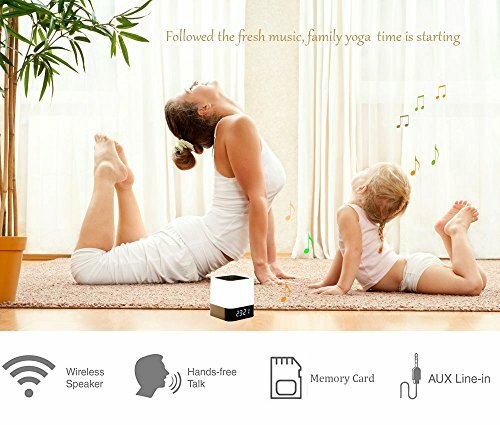 Press MODE button and repeat the same operation to set the minute and alarm ON and OFF. 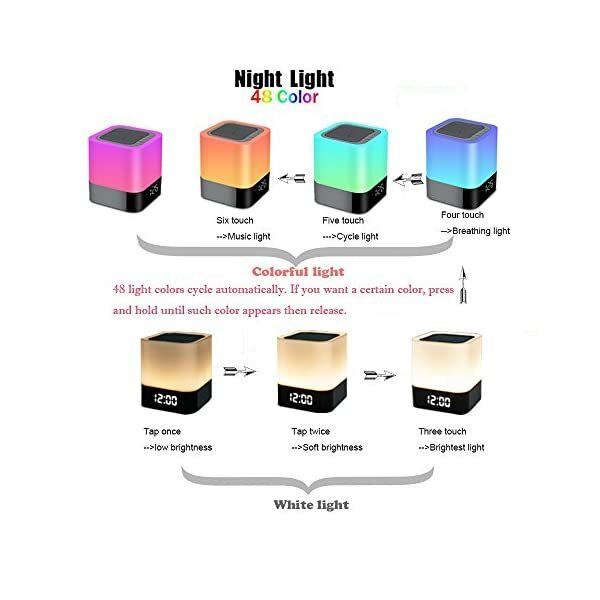 5.How to freeze the color you like? 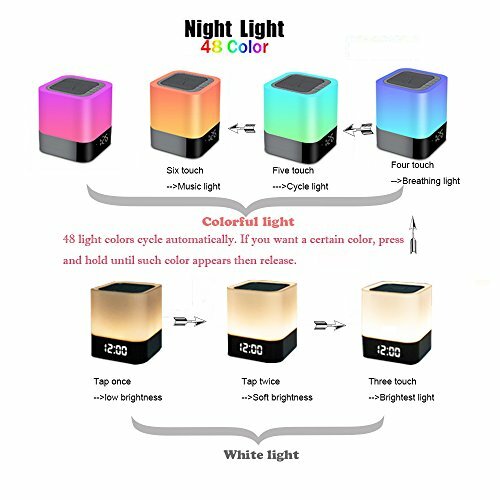 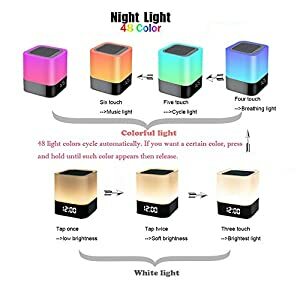 48 light colors cycle automatically,choose what you want depend on your mood ,touch the top of the night light and hold until such color appears then release. 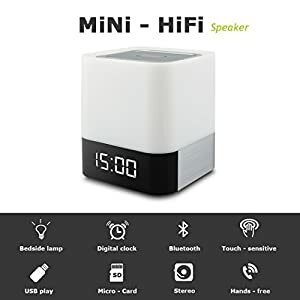 Simply create a folder which is renamed to “ALARM” in your micro SD card or USB Flash Drive,put your alarm sound (MP3,WMA,FLAC formats) in this folder ,that’s all. 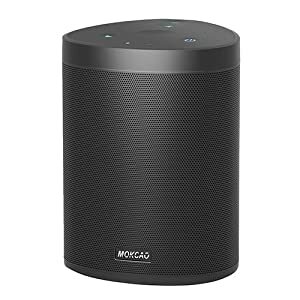 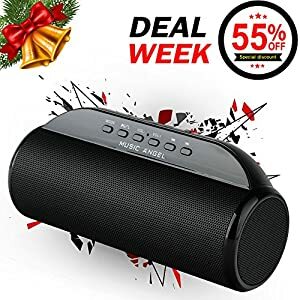 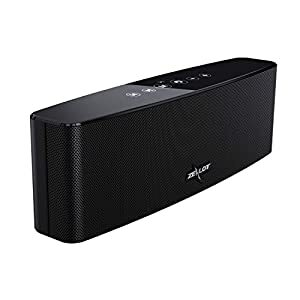 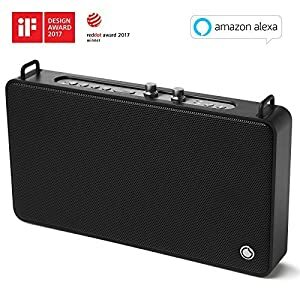 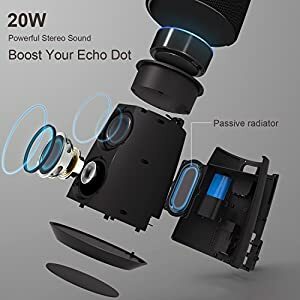 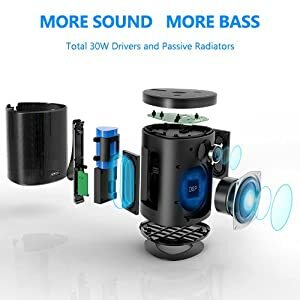 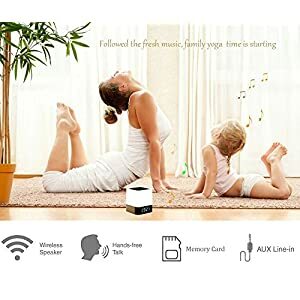 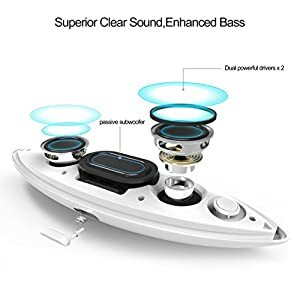 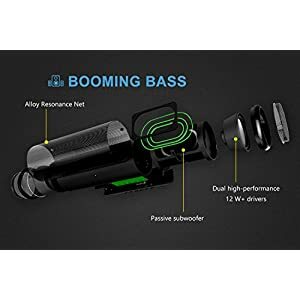 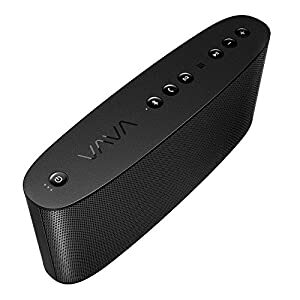 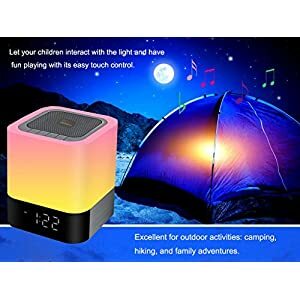 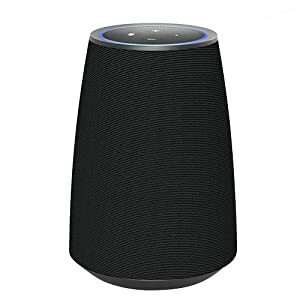 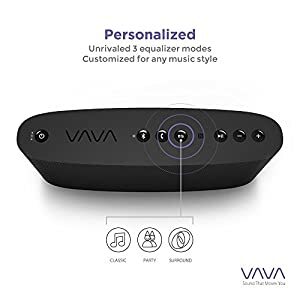 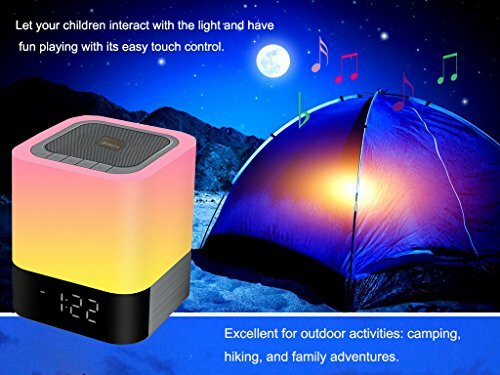 Wonderful Sound Quality – Bluetooth speaker with high power woofer,Unique Bass technology,No matter Bluetooth connection,MP3 play,or AUX connection,you will enjoy amazing sound.Wonderful for kids,adult, party,yoga,bedroom,camping ,and outdoor activities. 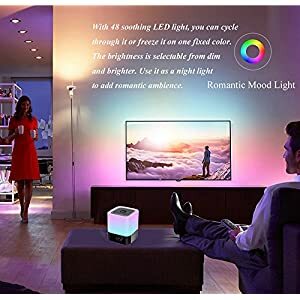 Best Gift – Multi functional creative and modern design make it to be your best gift for any occasion,it is completely portable and easy to pack away.perfect for home,spa,,dorms and baby room.Also allow the couple to create a romantic atmosphere/surprise.